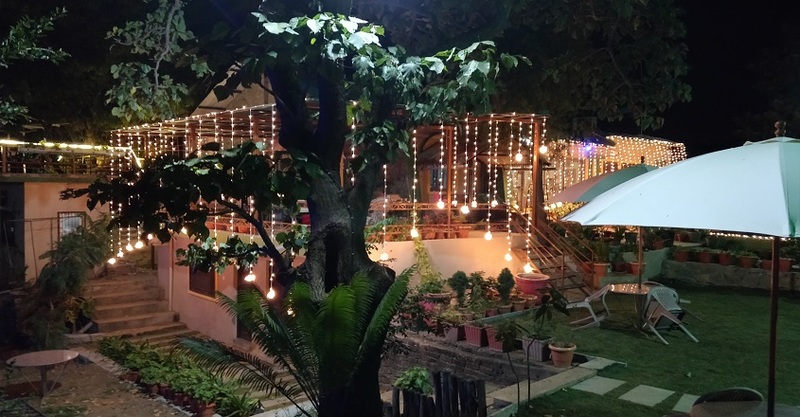 If you intend to stay in a homely ambience amidst a picturesque setting in your trip to Mount Abu, the Forest Eco Lodge in Mount Abu is your ideal choice. Forest Eco Lodge sits quietly at the very entrance of Mount Abu, Perched on the edge of a cliff at a serene location, Managed by a family, guests can expect to be bestowed with heart-warming hospitality and attentive service. along with the privacy, comfort and services of a guesthouse or hotel. set amidst the mesmerizing bounties of nature, the property features a lush lawn Surrounded by ornamental and fruit trees, and terrace that offers a panoramic view of the valley. Simplistically designed rooms, courteous staff and appetizing meals ensure that the memories of Forest Eco Lodge resonate with an everlasting effect in the minds of guests. Forest Eco Lodge is situated Right in the Middle of Nature's Lap. Perched on the edge of a cliff, situated on Sunrise Valley Road. The hotel lies at a serene location, opposite the check post of Mount Abu. Offering an unrestrained view of the surrounding mountains, away from the hustle and bustle of the touristy areas At Just a 5 minutes drive away from Nakki Lake within easy reach of other beauty Spots of Mount Abu. The solo hill station in Rajasthan, Mount Abu never fails to draw tourists to its enchanting mountains and famous temples. Placed at an elevation of 4003 feet, Mount Abu is known for its Wildlife Sanctuary and distinguished temples. Homely ambience and personalized service make Forest Eco Lodge a desirable lodging option for family travellers and a complete value for money.